Jessica Thompson is an author living in London. Born in Yorkshire in the late eighties, she then lived in France and Kent, before moving to the big city she loves so much. Her very first ‘novel’, written in her early teens, is so old it was stored on a floppy disc. She spent most of her childhood reading her latest poems and stories to her long-suffering but inspirational parents, who encouraged her to continue sharpening her skills as a writer. This passion for writing continued and flourished, and she eventually trained to become a reporter with the National Council for the Training of Journalists before writing books. Jessica loves singing, running, eating out and spending time with friends. I’ve moved house quite a few times. Throughout childhood, my family home was far from static. My parents packed us up repeatedly, to move from Yorkshire to France, and then from France down to London (and since then, to two different homes in Kent) all before I’d turned 12. I often wondered about this as a child. I would visit family friends and observe the sunlight, filtering through the same window, creating the same shapes on the same worn down carpets they had probably sworn to replace for years. What, I puzzled, might it be like to live in one place for a very long time? Perhaps you grow restless, bored even. Or maybe, and this was the scariest thing, you would be fractionally more at peace in some way, deep down. More settled in a way that’s difficult to put your finger on. It obviously didn’t worry me that much in the end though, because the moving only continued throughout my twenties as I periodically hopped from one corner of London to the other like a pinball, hot on the heels of various dreams and career opportunities. There were highs and lows, but altogether it was an amazing, inspiring experience and I’m glad that’s how I spent the majority of my twenties. And so, with another big move on the horizon at the end of 2015, I thought I had moving nailed. I’d done it so many times before and it had never really bothered me, so surely this would be a breeze? Absolutely wrong on all levels. While an exciting time (probably one of the most exciting ever), this move has been so much more difficult than I expected. Maybe because I’ve had a lot of other things on lately, my capacity to absorb and be cool about stuff like this has simply reached peak. Or, perhaps it’s because this time round I had a load of large(ish) furniture with me, which I had started to collect over the past year or so. But for whatever reason, it was, and continues to be, completely nuts. A dear and highly organised friend with a passion for pivot tables recommended we create a spreadsheet to chart, in varying levels of detail, what had been packed into which box. ‘You must do it’ she said, kindly but firmly over drinks a couple of weeks before moving day. I admired her for this, momentarily considered whether this was for me, and promptly thought ‘Nah, I’m sure it’ll be ok’. Well, last night, as I stood in a room of boxes simply marked ‘office’ and ‘loft’, beyond an impenetrably thick wall of surprisingly sharp objects and a maze of tangled wires – and with an urgent need to locate a document – all I wanted was THE BLOODY SPREADSHEET. Why didn’t I do the bloody spreadsheet?!! In retrospect it turns out ‘office’ or ‘kitchen’ doesn’t cut it, when each of those rooms has been haphazardly poured into nine equally sized and weighted boxes. Do it, or suffer the task of having to locate something urgent and irreplaceable in the aftermath of a game of box Tetris in the spare room. If you’re not moving into a spotless property where the previous person contractually had to hire a cleaner, DON’T rely on the Disney-like thinking that the previous people felt the charitable desire to clean the oven just before they left. If their departure was anything like yours, they had also left everything to the last minute, vastly underestimated the amount of crap they owned, and were frantically throwing their last belongings into Aldi bags while crying and hysterically laughing at the same time. Don’t blindly stick a pizza on in good faith unless you fancy turning your kitchen into the entrance flap for Stars in Their Eyes and annoying all the neighbours with your smoke alarms. 3. Stock neighbour/nice people cake. Our neighbours did something nice. Something so uncharacteristically nice compared to my previous experiences of many neighbours (think loud music and passive aggression) that I now wish I had been more prepared. They gave us a cake. An actual home made cake. For literally no other reason than to be lovely people. And if your neighbours are grumpy gits? More cake for you! A string of lovely, tea-drinking experts like plumbers, plasters and electricians are visiting because we want them to do little aesthetic things, like smooth over a wall here and there, or add a new plug socket to a more convenient location. This happens to almost everyone I’m told. But still, *ouch*. 5. Don’t guess at dimensions. I thought everything would fit. It looked like everything would fit. Don’t underestimate the power of the tape measure (and definitely don’t pack it a box marked ‘stuff’), however sure you think you are when you’re standing there with your hands on your hips and saying ‘Yes that’ll fit just fine, I’m sure it will’. Whatever it is, be it a table, wardrobe or chair, it’s probably either a) drastically bigger, or b) shockingly smaller, than you think it is and boy will you know about it! 6. Keep your slippers handy. There are so many painful things to stand on/back on top of/walk into. So far I’ve crunched the arch of my foot on an upturned plug and toe punted a paint tray among other eye watering encounters with my new, cluttered surroundings. You’ll want your slippers. Trust me. Despite all the madness, try to enjoy the process. It’s easy to be desperate for it all to look perfect. To wish away the time and feel frustrated with the mess. *When I’ve learned to bake. Yesterday, after six long years of study, I graduated from the Open University with a BA (hons) degree in English Literature and Language. Graduation Day was something I hardly ever thought about during my studies. It was a mysterious glimmer of light in the distance, something I wasn’t sure I would experience, given how tough it was juggling studies with work and writing books. There were times when I wondered whether or not I could carry on with it, but I’m glad I never gave up. And so, on Saturday September 19th, the day had finally come. And it was more wonderful and special than I could have ever imagined. The ceremony was held at the stunning Barbican Centre. I didn’t really know how it would all come together on the day, but thankfully it was brilliantly organised. 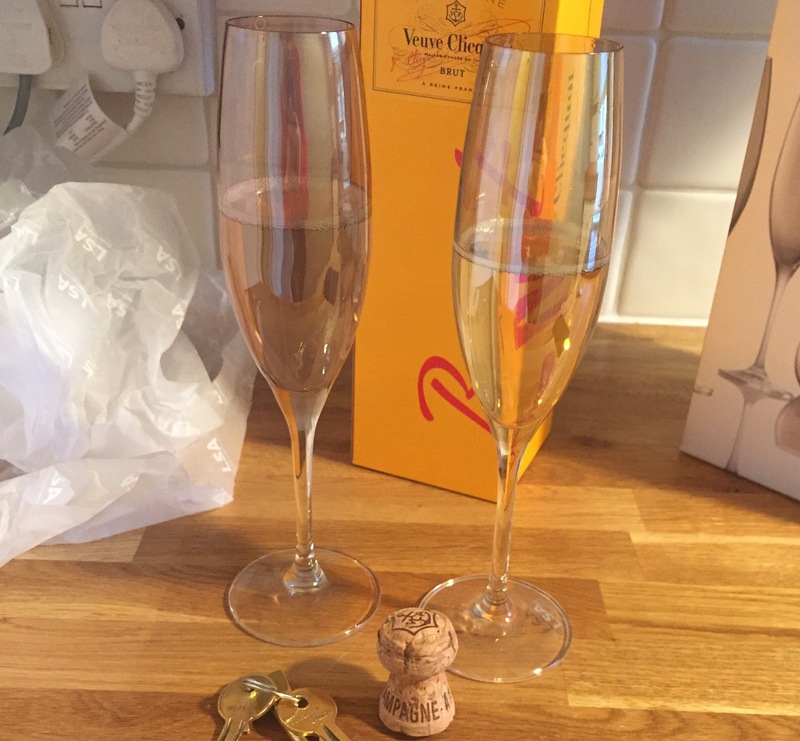 This might sound strange, but I wasn’t expecting to feel quite so much on the day of my graduation ceremony… Of course I was relieved I’d got through it and thrilled with what I’d achieved, but I didn’t imagine the event itself would be all that emotional. I’d pictured a very long, and very formal service, and I didn’t think it would be at all lively. But I couldn’t have been more wrong. An unexpectedly strong wave of emotion rushed over me when I picked up my gown. I had to try pretty hard not to burst into tears while picking up the robes, although I’m sure it wouldn’t be the first time they’d seen it happen! The ceremony itself, set inside the main hall, was electrifying. Beautiful, live classical music, and the jubilant, joyful approach of the university made the atmosphere magical. The audience was encouraged to cheer on loved ones as noisily as possible, which at times was incredibly moving (and also sounded like rugby match!). There were spine tingling moments when children shrieked with delight as their parents received their scrolls. It’s hard to describe how it felt when my name was called out and it was my turn to walk across the stage. My heart was pounding, because it’s always pretty nerve wracking to be up there in front of that many people, but it was fantastic. I will never forget it. Because of the Open University is centred around distance learning (full or part time), with the option to take breaks if needed, it attracts a real mix of people. Some students are more mature than the traditional residential university intake, perhaps having chosen to study later in life for personal development reasons. Some may have been misunderstood, or told at school that they simply ‘weren’t very academic’, only to feel like they had been written off. For them, further education felt completely out of reach, until later on when they discovered how capable they really were. Some may not have been able to afford to go to university, or might have struggled in their personal lives, having to defer their dreams while they overcame unimaginable challenges. My experience with the Open University has been simply incredible. I cannot recommend it enough. When I got my first set of books ahead of my very first year, I wasn’t sure if I could do it. But somehow, I did. An experience like this teaches you so much more than the already fascinating elements of well-constructed courses about anything from philosophy to physics. You learn to perfect time management, and exercise levels of dedication and perseverance that you never even knew existed. I think an experience like that benefits students for the rest of their lives. Not only were all the graduates so grateful to the university, but also to their friends and family members who supported them through it all. My mum, sister, niece, boyfriend, and his mum came to support me. I sure am thankful for them and many others in my life who helped me see this degree through with their love and patience. I’m not sure what will happen next for me, but I hope my more formal learning is far from over. If I consider taking on another course in the future, I will be sure to go to back to the OU. To find out more about the Open University, click here. Today is the last day of The Waiting Game blog tour, and boy has it gone fast! I want to say a huge thank you to all the amazing bloggers who took part, hosting exclusive content and sharing some incredible reviews. If you missed it, here’s a quick recap of each stop on the tour! Lisa shared a letter from Mick to Betsy, and her thoughts on the novel. Anna posted an extract from the book, and her feedback. In her teens she had continued to imagine how life would be when she was a ‘grown-up’. And while the planets and stars had been torn from her walls, replaced with posters of Kurt Cobain, her hopes and dreams had remained fiercely and steadily pinned to her heart. 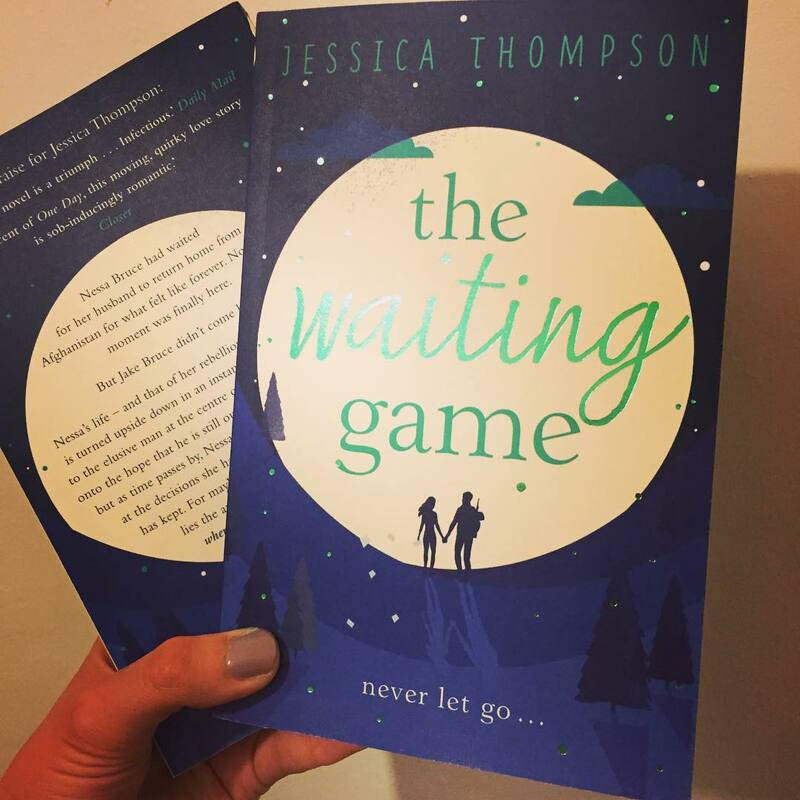 Trish’s blog hosted an extract from The Waiting Game. My primary concern is that Jacob struggles to conform to rules and procedures that the rest of the class takes on willingly… As I’m sure you fully understand, these early habits will set a benchmark, helping him meet the expectations to be inevitably set by society throughout the rest of his education and eventually in the workplace. Jake’s old school report, and a review were shared by Leah. Mick was sitting in a large chair in the living room by the window, watching the arrow of time surge forwards. A cigarette dangled between the nicotine stained fingers of his right hand, a trail of brown smoke curling into the air. Kelly hosted an extract and a review. Nessa turned on the sound and upped the volume. So much so that the people around her stopped what they were doing and stared, disbe­lief on their faces. A couple of them said things like ‘excuse me?’ and ‘do you mind?’, but Nessa ignored them. They sounded terribly far away. She concentrated on the screen. A woman in a navy blue suit with a brown glossy bob spoke solemnly to the camera. Laura from Blabbering Books had an extract and a review at her stop. Every so often a book comes along that consumes my every waking hour. This is one of those books. To say I loved it would be an understatement. Janine shared a review at her blog stop. Nessa started to feel a little panicked. There were only a couple of soldiers walking in now . . . The majority of families and couples had now shuffled along to the next hangar. Things were suddenly quietening down, After five minutes or so, there were only four families left in the tent. Agi hosted an extract and a review. A diary entry from Poppy and a review were found over at Whispering Stories. “I want you to know that I didn’t want to leave you and Poppy, alone to struggle in life. Chloe shared a letter from Jake to Nessa, and a review. Nessa tore open the envelope and tipped it upside down. A photograph slid out and landed on the white cotton sheets. She didn’t recognise it at first, her eyes blurred with fresh tears. She turned the image upside down and blinked. It was the strangest thing: a photo of Jake – just Jake. Over at Reading Room with a View was an extract and a review. Eventually, Nessa reached the opening of the forest. She kept running; her feet landed on dried-out twigs and branches that crackled and crunched beneath her feet. The sunshine pierced through the canopy of trees that provided a roof of broken shelter over the forest. The light glittered, shimmering on the ground. She didn’t really know where she was going anymore. She just had to keep going. Where had the tiny figure disappeared to? Joanne posted an extract and a review. Instead of throwing things at your head and creating cruel rhymes about you, the girls now flutter their eyelashes, pathetically. They speak to you coyly behind locker doors, giggling at everything you say, even if it’s not that funny. Sometimes I feel like I don’t matter anymore, like you hardly notice me and I’ve melted into the background. At Bronagh’s stop was a letter from Nessa to Will and a review. The Book Magnet posted an extract (*spoiler alert*) and a review. Nessa stared at her daughter, slightly speechless. Her rounded childish features had been replaced with a slender, angular face that seemed to hold more wisdom than Nessa felt she possessed even now. She still had her long, Rapunzel-like tumbling hair, but she’d had a sharp, straight fringe cut in, that made her look more grown-up. Somehow she was now a young woman. An extract and a review were published over at Escapades of a Bookworm. And a review could be found over at Rea’s blog. As well as all the positive things happening in my life, there’s something bittersweet going on. One of my very closest friends (‘in the entire world’- at the risk of sounding like a small child) has moved away. To live somewhere else. Maybe forever. And not just ‘a little bit’ away, like Cornwall or the Lake District, or even perhaps Paris. She is quite literally on the other side of the planet, in Australia. I’ve known her since we were at infant school. At first, we didn’t get along too well. She took the piss out of the name I gave my imaginary pony. I took great offence. We made each other cry on occasion, like little children do, testing the borders of our first human relationships. Various dinner ladies were involved as judge and jury in squabbles by the climbing frames over who owned a pink, glittery eraser and a coveted troll pencil topper (all hugely important at to us at the time). They stood, and they sighed, (and probably rolled their eyes), before ringing the bell to mark the end of another rainy lunchtime. But we got closer and closer over the years, morphing from tiny arch enemies in frilly socks to adoring friends who learned Spice Girls routines and called the numbers on the backs of shampoo bottles to ask if they test on animals. But when we were in Year 7 those carefree days ended, and everything changed. Her mother tragically died. My friend spent many weekends at our house watching films and eating cookies, sometimes crying and sometimes laughing hysterically. Sometimes, when you’re that young and something is so horrendous, laughing hysterically is all that’s left to do. Together, we muddled our way through her childhood grief, and watched it change and move into adulthood, always there and indelible, like ink beneath the skin. Even at this young age we had been through so much together. Soon enough, we had a bond for life. In our teens, when we attended different schools and couldn’t hang out as much, we sat on the phone for hours in the evenings. Still wowed by the notion of a cordless phone (we can talk, in my room? And I can twirl around at the same time, practice dance routines and not get tangled in wires?! Oh Lordy!!) I accidentally ran up a phone bill of over £200. Dad was, naturally, livid and so I reluctantly paid it back to my parents chunk-by-chunk from wages earned at a Saturday job selling discounted slippers and nighties to elderly ladies who said I looked like ‘that girl from Eastenders’ every time they came in. When I found out she was moving away some months ago, I was shocked. I see her often, and we speak virtually daily. I experienced almost consistent denial ever since, punctuated by sudden moments of what felt like ‘grief’ (at the most random moments too). All it took was a song. Some awful Jamie Foxx number from a Great Ocean Road trip we took at 18 is still not an option for me, however cheesy it is, without projectile tears. Sporadically, tiny memories illuminated the shadows of my mind with a warm, familiar glow. Phrases she says a lot popped into my head, and it sunk in a little more. She left on Monday (as in Monday just gone, Monday). On Saturday there were leaving drinks, and being the kind of lovely soul she is, she made things easier for all of us by just saying ‘see you soon’ when she hugged us goodbye. She brought a bag of cosmetics and other things she couldn’t take away with her, offering for us to take whatever we want. I reluctantly avoided it, feeling a little nauseous at the sight of it because if she was abandoning her expensive Dermalogica face-wash it meant that this sh*t was actually happening. Just before the night had drawn to a close and it was my turn to say ‘see you soon’ back, I had been in the pub toilets giving myself a (silent) pep talk. I had my strategy, I would just go out there, give her a squeeze, and get it over with quickly. One, two, three, like ripping off a plaster. Easy. In reality, it was very hard. It’s tricky to speak even three little words, when you’ve got a lump the size of a small boulder in your throat… Was I being selfish to feel sad about this? Perhaps we all are, with our expectations of others, wanting them to always be around. Questions swirled around my mind. And on Tuesday, as I drove to the gym I imagined her in a plane, 30,000ft in the air, probably half asleep, and drooling with her gob open, somewhere between Singapore and Australia – and for the first time I didn’t feel nauseous with sadness. I felt a sudden, overwhelming wave of pride and happiness. No matter what happens, whether she stays there for years, or she chooses to come back, myself and her other adoring friends will always be there for her. I’m proud of how brave she is, taking this step. Not everyone could do something like this. I thought of all this, and all I could do was smile, widely and uncontrollably. What an inspiration. How lucky we are to know someone so courageous. We will see her again, and regardless of that, I will always have her close to my heart. I always did, even when she was just a few miles away. This morning I tried on some lovely new shoes I’ve bought. A flicker of a thought crossed my mind, as habitual and comfortable as an old jumper – ‘Oh, she’d love those. I’ll have to wear those next time I see her’, and I had a sinking feeling, because I won’t see her face to face for a very long time. We’re lucky to live in a digital age, where miles are made shorter by the constant ability to connect. We have Whatsapp, and Skype, and Facebook to shares shoes, triumphs and our frustrations of the day. We have years of wonderful, blessed friendship to help fill ‘the gaps’ created by this new found physical distance between us. 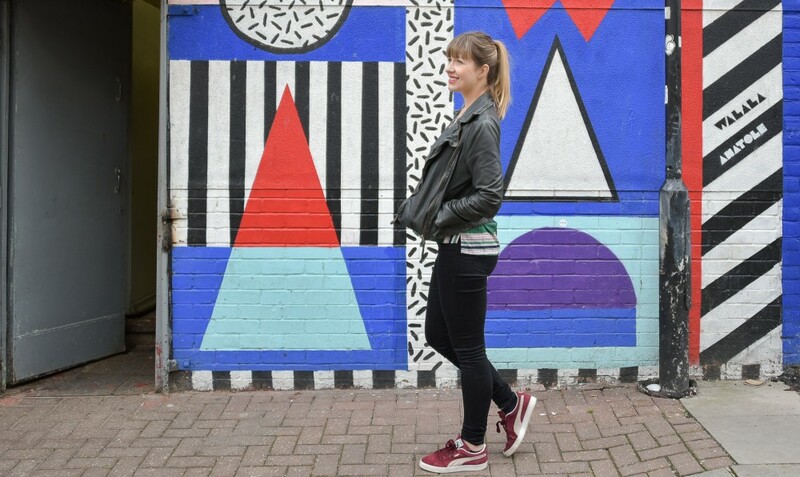 Having taken a blogging hiatus to prioritise other things (namely the final year of my degree and finishing book four), I’m pleased to be back and bursting with brand new life experiences to share. Totally separate to writing books and studying, although highly beneficial to general wellness, I’ve transformed my diet in a way that I’ve found to be life changing (and more than a little bit surprising!). It all started when I went to a new trial class at my local gym and heard (for the very first time) about the ‘paleo diet’ from some of the most healthy-looking, strong and naturally glowy people I’ve ever met. At first I was dubious. A diet that cuts out virtually all processed food sounded a little extreme, and actually like sheer hell to me. Plus, some Googling revealed a fair bit of dislike towards the idea of this lifestyle choice as a whole, and even serious concerns about the welfare of those religiously following this ‘new fad’. But somehow, I was increasingly curious to give it a go. I think it was a mixture between always loving a personal challenge, and feeling horribly sluggish, that made me want to rehaul the way I was eating. Paleo, whatever it really was, seemed like an interesting place to start and it involved a lot of vegetables (which can’t be bad, surely?). My partner and I had discussed it at length. Unsurprisingly, he wasn’t over the moon. We decided to give it a try for a month, and if we didn’t like it then we’d just move on from the idea. I half expected that we’d crumble four days in anyway, only to find ourselves binge-eating pudding at our local pub, breathlessly vowing ‘never again’ between mouthfuls of chocolate and ice cream. But much to my surprise, elements of this change in lifestyle went amazingly well (bar some initial processed-sugar withdrawals, which saw us arguing enthusiastically over the best place to hang a pillowcase to dry). It’s gone so well in fact, that although we don’t stick to a purely ‘paleo diet’, a year later we are eating totally differently to how we used to. We are reaping the benefits of elements we have found to be personally beneficial, adapting it to best suit our lifestyles. Regardless of whether or not you want to ‘go paleo’ and without broaching some of the many debates about the diet’s nutritional and historical suitabilities (because I’m neither a historian or a nutritionist), I’ve learned some incredible healthy eating hacks along the way that I’m excited to share with you. They can benefit everyone and anyone looking to adopt a healthier diet. Benefits I’ve experienced include feeling more energetic, having stronger hair, nails and skin, as well as increasing general wellness. Since making these changes alongside drinking lots of water, and eating freshly prepared meals packed with vegetables, I’ve stopped getting the horrible mouth ulcers I used to suffer from whenever I was slightly tired or run down, haven’t had a single throat or chest infection. I sleep so much better. While none of this stuff is particularly original (and I can’t claim to have invented these! ), I wish I’d known these things when I started out taking better care of my diet. It would have made the whole process much easier. 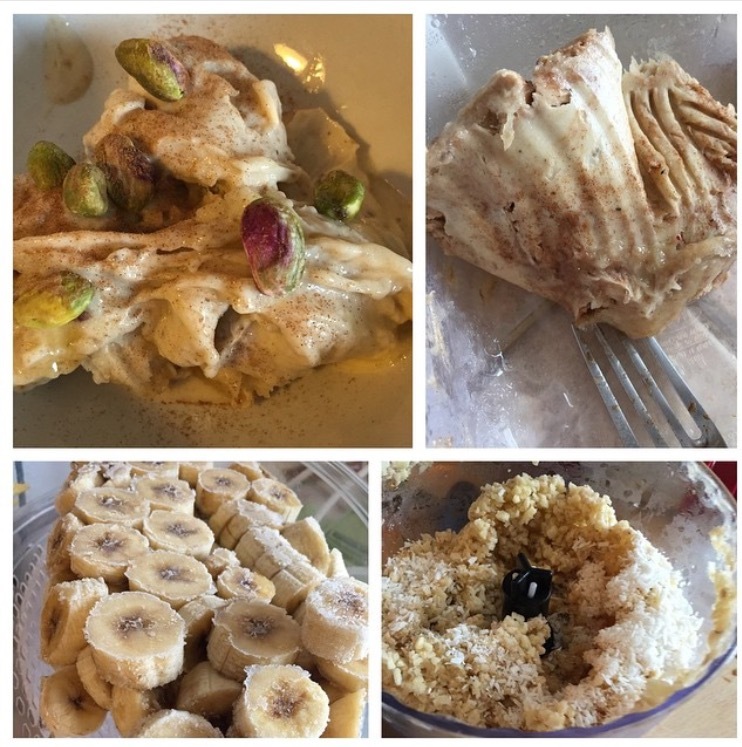 I heard about banana ice cream by chance one day, and was astounded by how good this healthy alternative actually is in real life. Just slice up a few ripe bananas and freeze them. A couple of days later, take your banana out of the freezer and stick it in a blender. Blend until your frozen banana looks a bit like oatmeal and then add some flavour magic to your mixture – pistachio nuts, cinnamon, coconut flakes and honey all work beautifully (although not all at the same time). Then, keep blending and suddenly (as if by magic) your frozen banana will look and taste like ice cream. AMAZING. If you’re looking for a nutritious rice substitute then this is a great thing to try. It’s easy too. Just wash a load of cauliflower and blend it until it resembles little flecks (a lot like rice). Pour the mixture into a pan and cook with a little coconut oil. Sometimes I add spices to it too. I was very doubtful that this was going to be OK (as I’m sure you may be too if this is the first time you’ve heard of it! ), but it’s really nice. Simply get your mitts on a ‘spiralizer’ and run some courgette through it. You’ll get a load of beautifully curled veg come out the other side, which doesn’t take long to cook (again, coconut oil works well with this). It’s delicious with all sorts of stuff, including meatballs, and chicken with homemade pesto. Arguably nicer than standard potato chips and SO good for you. SP chips go with virtually anything. Bake them coated in coconut oil and lashings of smoked paprika for about 40 mins (and add sunflower seeds later on) for ultimate levels of yum. One of the trickiest things about eating healthily is the snacking side of things. With so many of us working all hours, and juggling multiple pressing responsibilities, the vending machine can be a tempting place. But make a batch of these on a Sunday afternoon, plus grab some mixed nuts and bananas and you’ll be more than prepared for the week ahead’s snacking requirements. They are GORGEOUS and fantastic work out fuel. These are my top five healthy eating hacks. I’d love to hear yours! My fourth novel ‘The Waiting Game’ is published this Thursday by Hodder Books. To celebrate, we’ve got an exciting #‎TheWaitingGame‬ blog tour coming your way, starting on its release date (August 13th) and running all the way through until the end of the month. Letters ‘between characters’ (some read, and some yet to be discovered). A lead character’s rather telling school report! The book bloggers hosting the pieces are further bringing this story to life, and I am so grateful for their support. I hope you’re able to check out what’s happening during the blog tour, and also get to grab yourself a copy of the new book too! After a hiatus from the wonderful world of blogging, I’m back! I want to send a moon-sized thank you to Laura of ‘Blabbering About Books’ who included this novel in her recent post about her most anticipated reads for the rest of the year.